These POSH Mini Dog Tags are just the cutest wee charms! Wear your whole family in a very chic way! The tags are 10mm x 16mm (mini!) and a sturdy, strong 1.3mm thick. 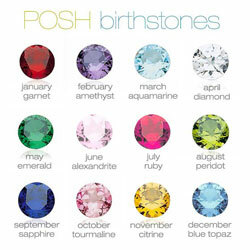 Choose from sterling silver, 14k yellow or 14k white gold and then simply personalise with a name or date and birthstone. A second name or date is able to be engraved on the back for a small additional charge. Your stunning POSH Mother Jewellery not only comes gift-boxed, but with it's own polishing cloth to keep it looking gorgeous! -Displayed cost is for an engraved sterling silver pendant with a birthstone only (yellow gold pendants, white gold pendants and all chains are extra). 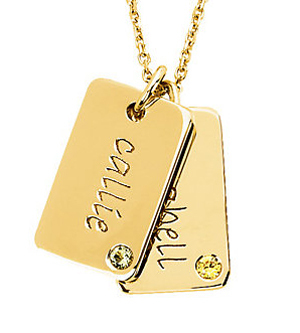 Additional tags available below for sterling silver, please contact us if you wish to purchase more than one gold tag.